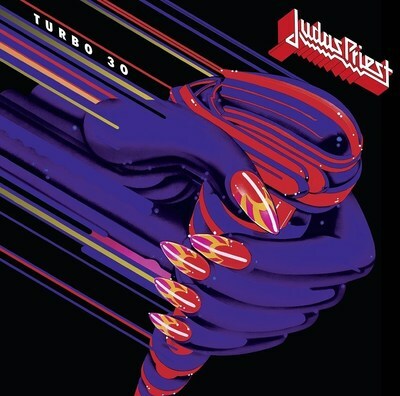 NEW YORK, Dec. 16, 2016 /PRNewswire/ -- British metal legends Judas Priest announce the reissue of their 10th studio album, Turbo. The album has been remastered and will be released via Sony Music on 3rd February 2017 on 3CD (the original album and 2 bonus discs) as well as 1LP 150g vinyl. Originally released in 1986, Turbo features all the hallmarks of classic Priest on tracks such as "Turbo Lover", "Parental Guidance" and "Locked In". Included on disc 2 and 3 of the CD reissue is, previously unreleased, 'Live in Kansas City', a live recording from the band's 1986 Fuel For Life tour in support of Turbo. 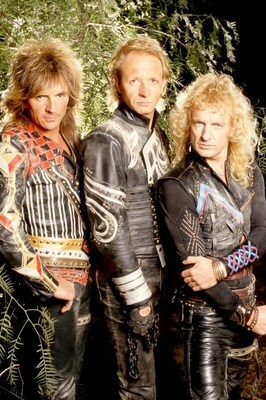 The band add "The 80's is considered to have been the best decade for heavy metal – Judas Priest roared through it and at the half way point went into unchartered territory with 'Turbo'. Always believing that metal should have no boundaries, Priest challenged themselves taking on board new technical inventions to create fresh ideas and push their sound forward. The combined songs show another side of Priest's range of creativity that captures a theme and energy infused with the over the top sensibilities of that era. The 'Fuel For Life' tour certainly encapsulated the decadence of the times! 'Turbo' remastered and accompanied by a pedal to the metal live recording from Kansas reveals Priest on high octane – Raising fists and devil horns to the next level."